"I’ve gained more confidence in the way I work out and have learned a lot." I started at RTS the summer of 2014 after my sophomore year of college, having come off of a knee injury that required surgery. I had a gym membership but I didn’t use it all that much, and didn't have much of a workout plan. I'd end up just going in and do whatever I could think of that day plus a ton of running. It wasn’t very productive. RTS has helped me get into a proper workout routine that has been way more productive than anywhere else I’ve worked out. Having the trainers make us our own programs is very helpful because I wouldn’t really know how to on my own otherwise. When I was still playing in college the biggest thing I noticed was that my first preseason after being with RTS there was way less knee pain. I was going into preseason way more prepared than ever before, and way more prepared than my teammates. While other girls on my team were burnt out and pulling things two days into preseason because they didn’t have anywhere like RTS to help them prepare, I was still feeling good basically throughout the whole week and remained that way through most of the season. 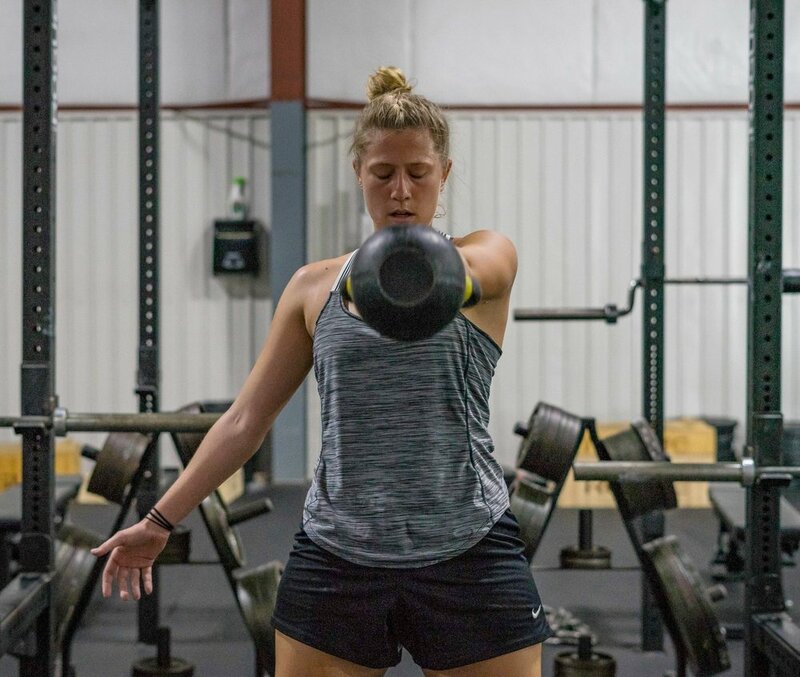 Since finishing college sports I’ve gotten a way better understanding of the relationship between lifting, running, sleeping, stress, and how I eat. When I was playing sports I never really had an understanding of it because I never really had to worry about it. I was active constantly. Now that I sit at a desk all day and am not nearly as active, I’ve really had to try to gain a better understanding so that I can still reach my goals in a new lifestyle that I’m not used to. RTS is a very unique place. All of the trainers are incredibly knowledgeable, and put in 110% for their clients which is not something you would see at a normal gym. It also is a very comfortable place. Everyone pushes you to work as hard as you can, but also encourage you to come to them with anything, whether it be questions, issues with workouts, etc. Everyone in the gym, whether it be trainers or clients, make up one big RTS family that encourages each other to each their goals.